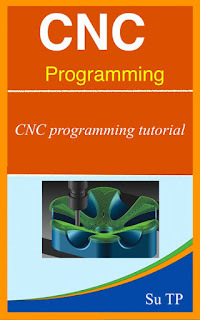 This app help you to step by step learn CNC programming. In modern CNC systems, the design of a mechanical part and its manufacturing program is highly automated. The part's mechanical dimensions are defined using computer-aided design (CAD) software, and then translated into manufacturing directives by computer-aided manufacturing (CAM) software. The resulting directives are transformed (by "post processor" software) into the specific commands necessary for a particular machine to produce the component, and then are loaded into the CNC machine. Since any particular component might require the use of a number of different tools – drills, saws, etc. – modern machines often combine multiple tools into a single "cell". 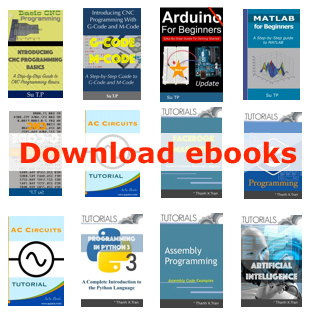 In other installations, a number of different machines are used with an external controller and human or robotic operators that move the component from machine to machine. In either case, the series of steps needed to produce any part is highly automated and produces a part that closely matches the original CAD.